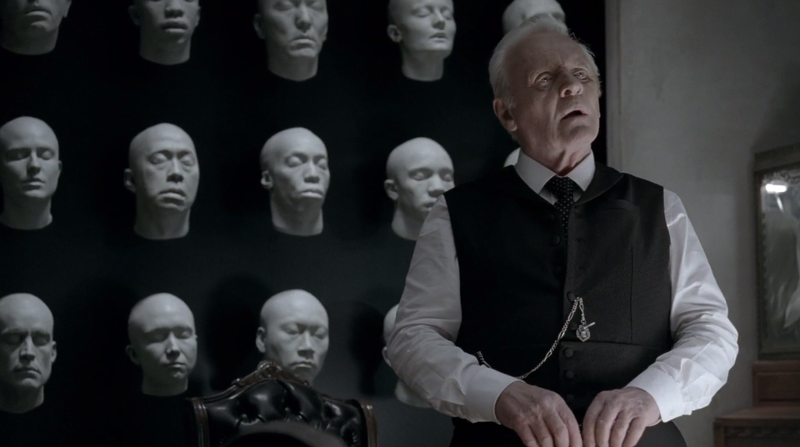 It hasn’t even been 24 hours since the finale of Westworld season one, but already, fans are speculating about what will happen in season two. So far, the theories are compelling. Obviously, if you haven’t caught up with Westworld yet, you should stop reading now. Back in episode 7, Theresa is lured into a secret lab where Ford is slowly creating a new host. Here, we discover that Bernard was a host all along, and that Ford was secretly orchestrating, well, everything. Theresa is murdered, all while the camera focuses on the machine making a host. At the time, it was easy to assume that maybe Ford was creating a replica of Theresa, to replace and control what would happen with Delos. Instead, we never got to see who we has making, or for what purpose. Fast-forward to last night’s episode. Ford is unveiling his new narrative with a monologue. “It begins with the birth of a new people,” Ford says, before explaining the premise of his new narrative. And that’s when Dolores killed Ford. Fans are reading into finer details to support these theories, like the fact that the show gives us a close-up of Ford’s handshake with Bernard right before the massacre. In an earlier episode, Ford tells us that handshakes could give early hosts away, and if you look at the scene, it does seem peculiar that the camera would give us such a long close-up on this moment. Is it telegraphing something? We also know that the machine in the hidden lab was an older one, so it technically tracks—it would have produced an early iteration of a host model. If it was just going to die for him, it didn’t need to be fancy or anything. It would just need to go up there and recite its lines once. The argument against these theories is, wouldn’t such a trick just cheapen Ford’s so-called death? Well, that would depend on how they handle the reveal, no? We all foresaw the Man In Black / William timeline thing, but that still didn’t take anything away from actually watching the show. I for one would be thrilled to discover there are more layers to Ford’s ambitious plan. 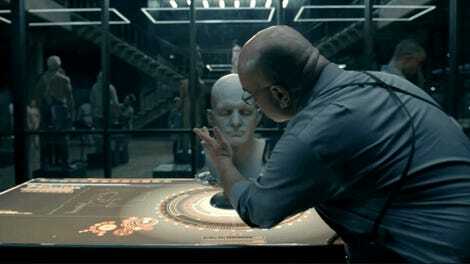 Then again, I’m one of those people who doesn’t believe fan theories are ruining Westworld, so YMMV. Westworld likely won’t be returning until around 2018, so we won’t get to see if people are right for a long while yet. The safer prediction? We’re probably going to see Eastworld, if not other locales altogether. I’m stoked.